So tonight’s dinner wasn’t much, a fast tasty meal! 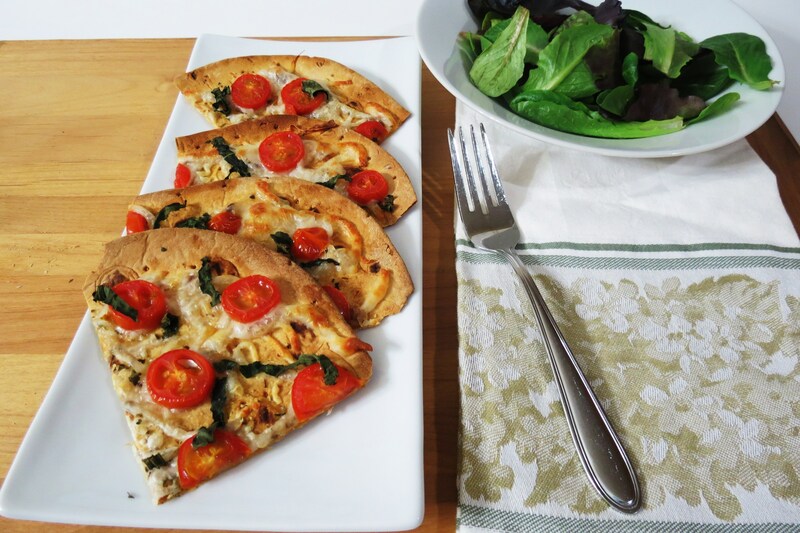 This is one of my favorite quick 10 minute dinners that I just love. 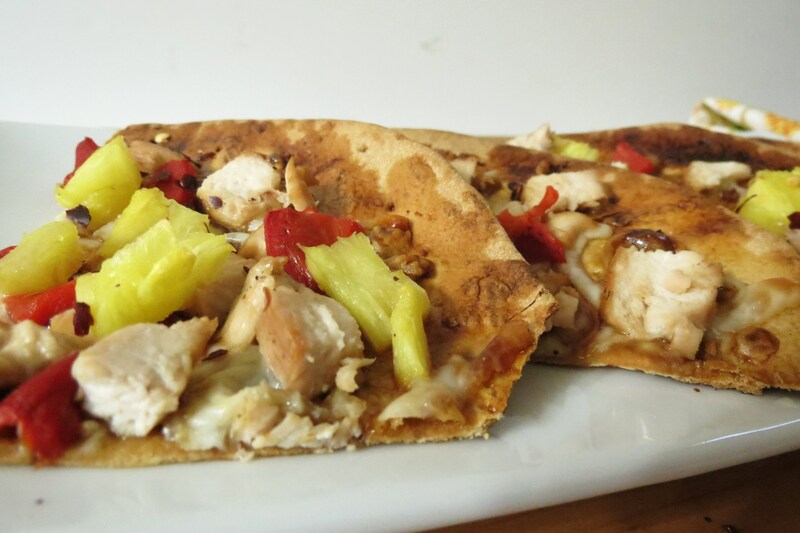 Most of the time when I rummage through the fridge and I’m hungry I always make a FlatOut pizza. It’s so easy and so delish. I just top the pizza with whatever I have available to me. 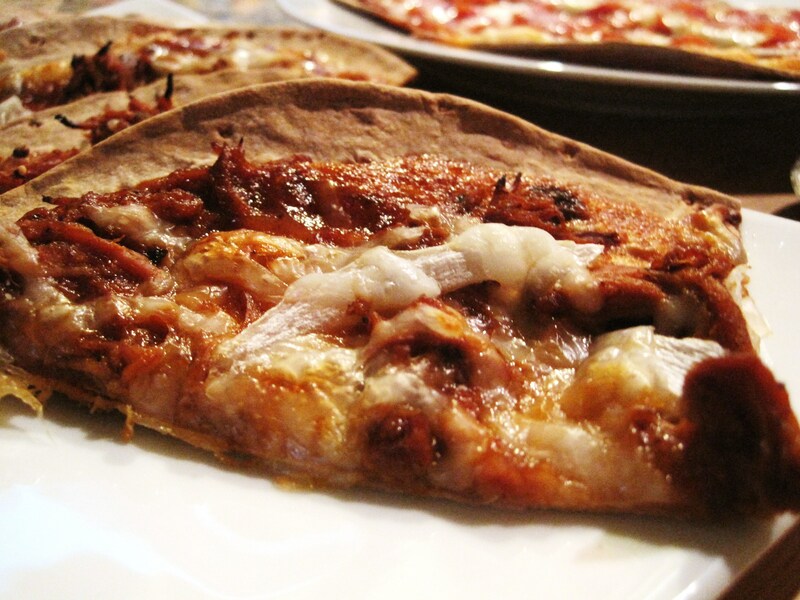 Remember some of my past FlatOut Pizza’s? I love making FlatOut pizza’s, if you can’t tell. But looking back into these past pictures, I need to remake them and take better photos. A lot of these were from when I first started blogging. 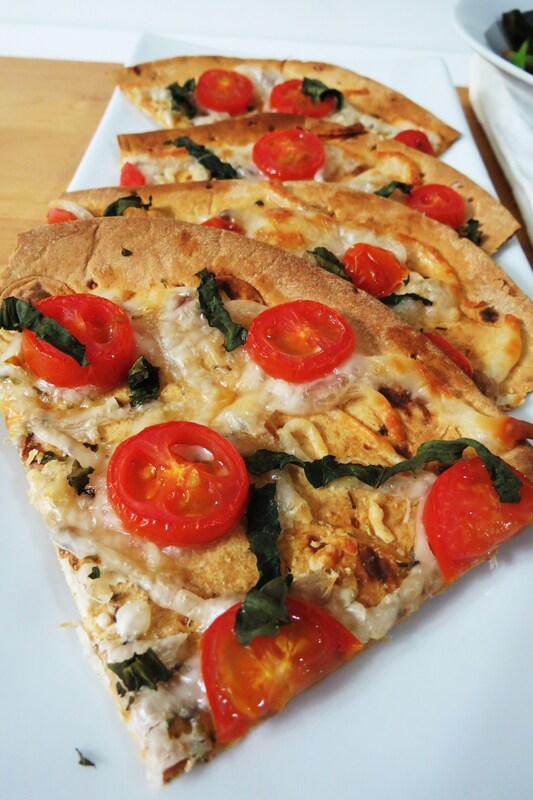 So have you ever used FlatOut Bread? They don’t look like much, but when you make them into a pizza their fantastic! Even my picky Husband likes them. All I do is heat the oven to 400 and add all my layers to my pizza, pop in the oven for about 7 – 10 minutes and wah la, it’s done. When it comes out of the oven it looks like this. Yummy! Serve it with a side salad and you have a healthy meal! 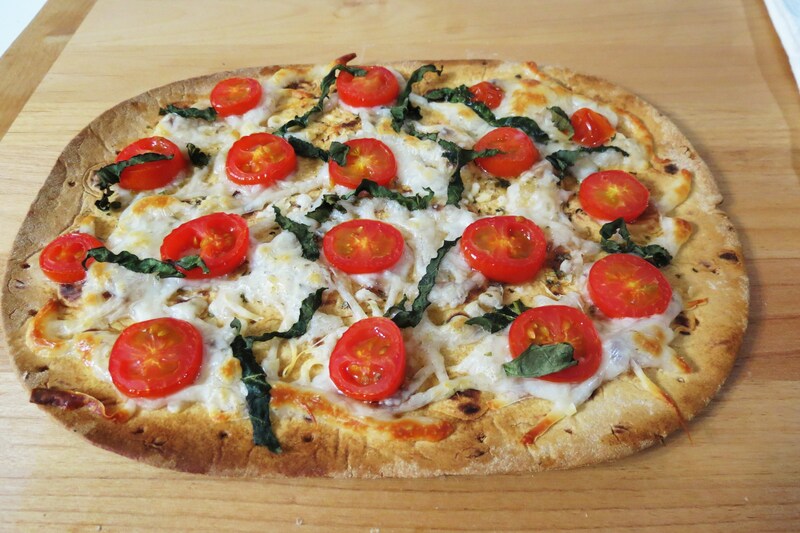 My Margherita Pizza is made with olive oil, mozzarella cheese, cherry tomatoes and basil. As you can tell it’s one of my favorite combinations. There is nothing like fresh tomatoes and basil together, and throw on some cheese and I’m in heaven!! 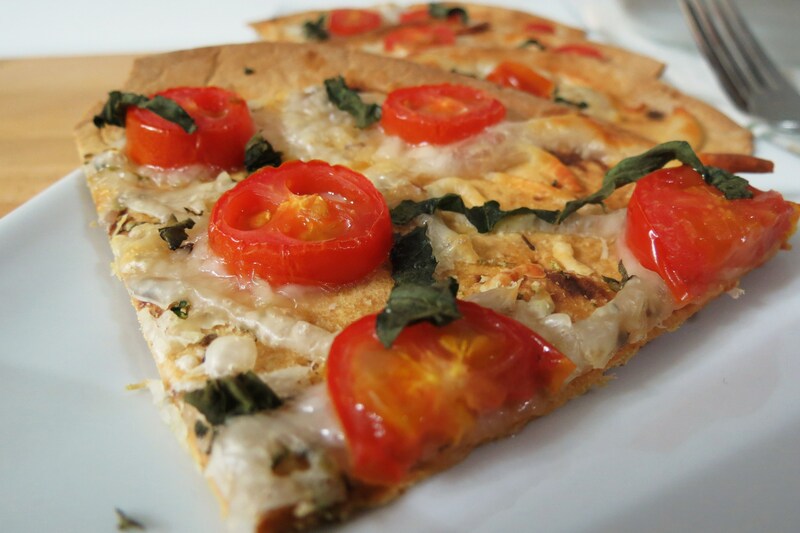 A quick and healthy pizza with melted mozzarella cheese, fresh cherry tomatoes, sprinkled with some sliced basil. 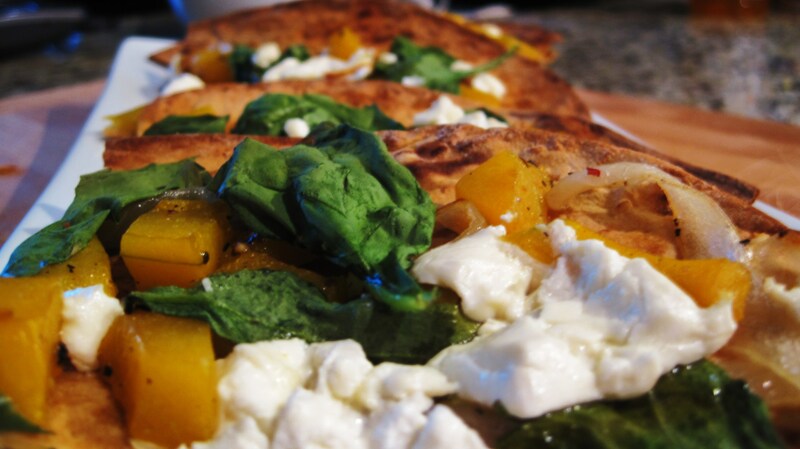 On a FlatOut Bread or Tortilla Shell, add olive oil and evenly distribute onto shell. 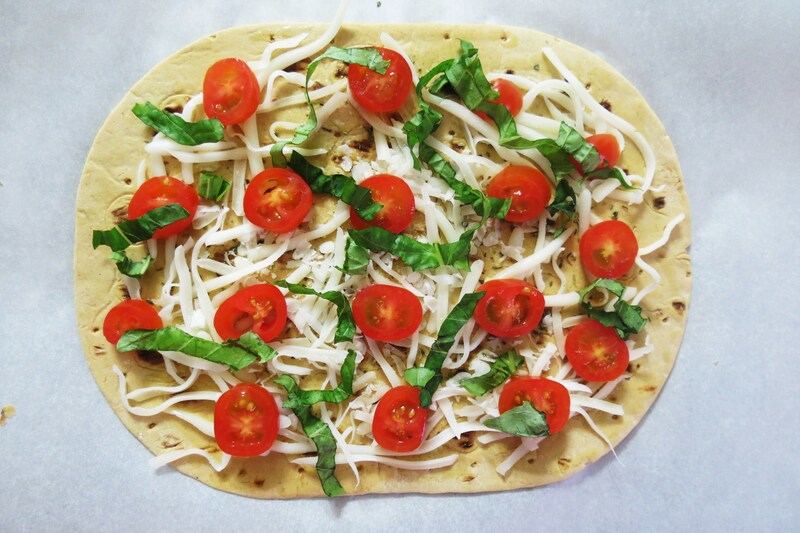 Sprinkle with Italian seasoning, add mozzarella cheese, top with tomatoes and basil. Place in oven for 7 - 10 minutes, watch the last couple of minutes to make sure it doesn't burn. Well my Friends, it’s time for me to go. I need to start planning my meals I’m going to make this weekend and next week. I do know I have a fun appetizer that I”m going to try tomorrow, and if it turns out you’ll be the first to know. It’s one appetizer my Husband can’t wait for me to make. So I’m crossing my fingers it turns out. Have a wonderful weekend! Get out there and enjoy the fresh air!! What a beautiful pizza! really mouthwatering. So glad to have found your blog – I’ve signed up to follow and looking forward to more! Hi Mary! Glad you found my blog and signed up!! 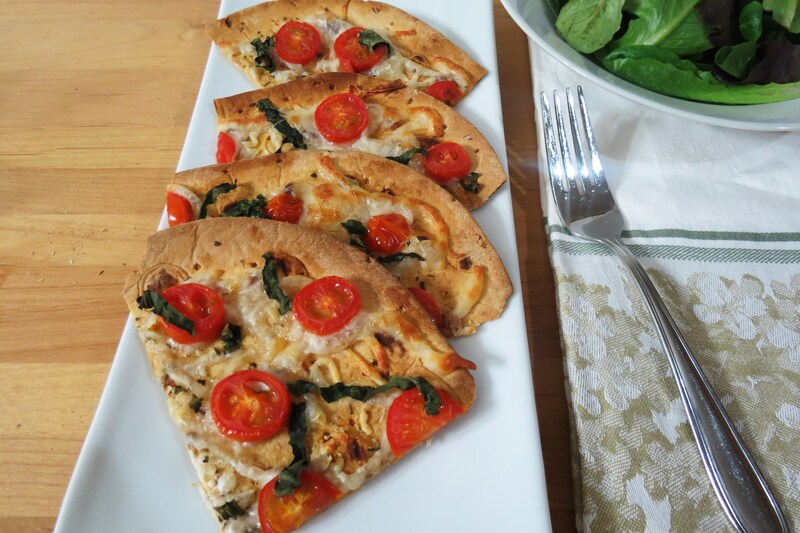 The pizza is really one of my favorite quick dishes! Have a wonderful day and welcome to Peanut Butter and Peppers!! That looks so good! 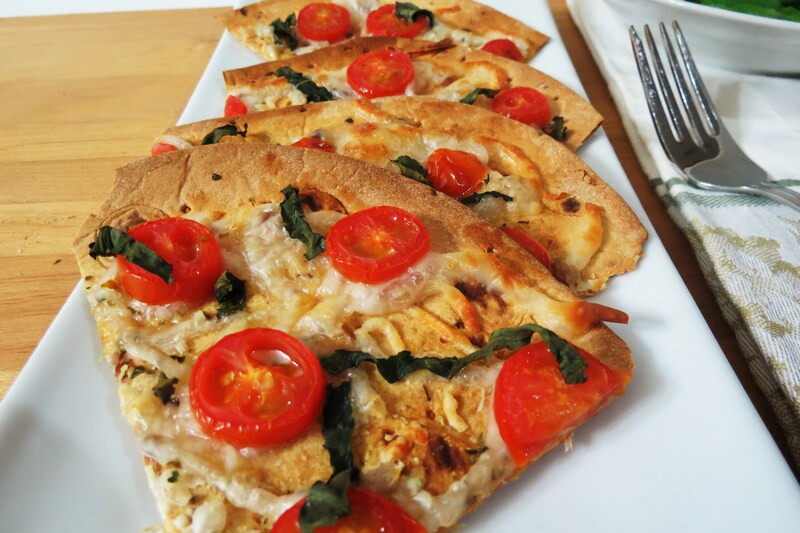 I’ve never tried the flatout bread before, but I’ve seen it several times used in other recipes. 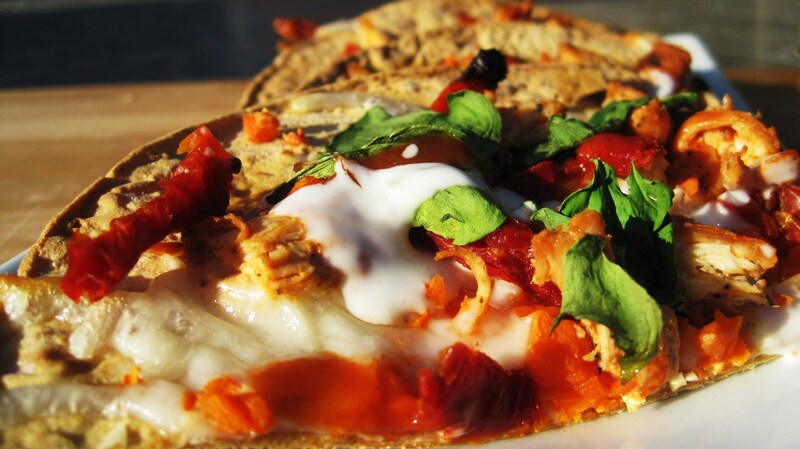 After looking at this recipe, I’ll defiteily be buying it next time I go grocery shopping. And the pizza looks super easy to make. OMG he sounds exactly like my fiance!! He will also just eat anything in sight (usually cookies in the cookie jar or chips or cereal) all day until I come home to cook something. Pfft what would they do without us. Margherita pizza is my favorite yum yum!